Are you getting paid what you are worth? Did you know that despite the important role a Financial Advisor plays in his or her clients’ lives, Advisors collectively are losing hundreds of millions of dollars per year in discounted fees, the majority of which clients don’t ask for in the first place? Are you guilty of undercharging your clients as well? Why you are paid what you are paid. 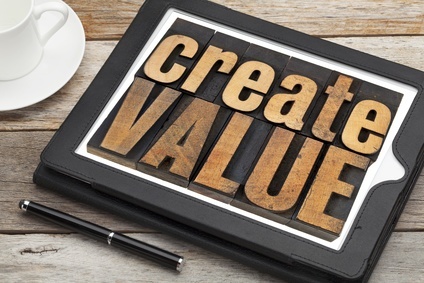 How to create value with your clients. How to charge what you are worth. Note: see desktop and mobile download instructions at the bottom of this page. This Webinar Replay is complimentary for Platinum members of Don Connelly 24/7 – access it ☛ here ☚, once you log in to your member account. Are Your Clients Paying You What You Are Worth? As the media and no-load firms continue to focus clients and prospects on lowering investment fees, it’s more important than ever to create a business brand and style that clearly communicate your value. I like to see exceptional Advisors get paid what they are worth. What I don’t like to see is Advisors who are above-average receiving below-average compensation. Why are some Advisors reluctant to ask for what they’re worth? The answer is a combination of confidence and comparison. Advisors who don’t know their value compare themselves to other Advisors when determining their fees. When an Advisor feels the competition has more to offer, the Advisor will try to lower his or her fees to a level at which the client can’t say no. When you charge your client a fee for creating the proper portfolio, is your client paying for the time it took you to create that portfolio, or is he or she paying for the hours and months and years of training, study and dedication that went into knowing which portfolio to create? It’s very important that you know why you are paid what you are paid. Not all Advisors do. Despite the important role a Financial Advisor plays in his or her clients’ lives, Advisors collectively are losing hundreds of millions of dollars per year in discounted fees, the majority of which clients don’t ask for in the first place. Clients need to know your entire contribution to the effort. The more a client knows of what you do, the more important you become in his or her eyes. Over years of conducting client events, I have learned a lot about how clients define and determine value. Get this Webinar Replay to join Don Connelly as he discusses just that. 1. You can download each file up to 2 times. All download links expire within 5 days of order placement. 2. PC and MAC users – simply click on the download button and you will be prompted to save the file to your computer. 3. Apple Mobile users – You CANNOT download or stream this digital file directly to your iPhone/iPad/iPod. Please check Apple’s support forum for instructions on how to download and manage content on your iPhone, iPad, or iPod using iTunes: https://support.apple.com/en-us/HT201593. 4. Other mobile users – simply click on the download button and depending on your device settings, you will be prompted to save the file to your device OR download will start automatically.